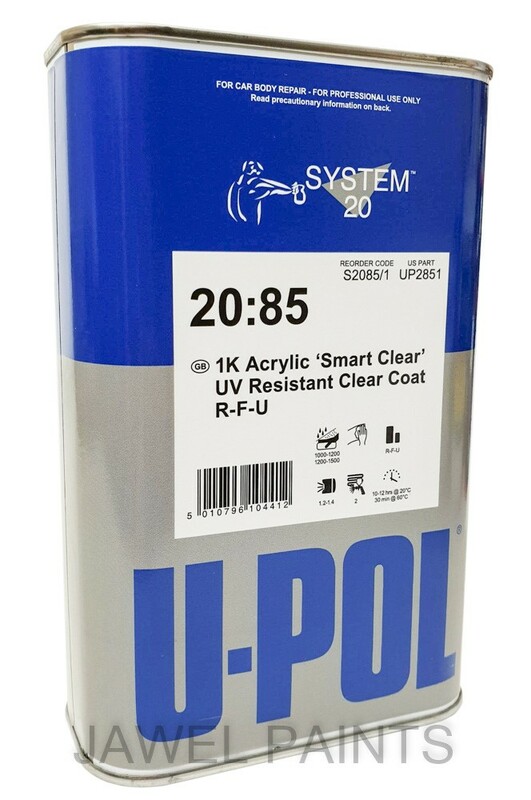 U-POL 1K Acrylic clear lacquer is a ready for use single pack clear coat, this is a very fast drying product and give a high build coating with excellent U.V resistance. This is also isocynate free and used in the trade as a spot repair clearcoat. 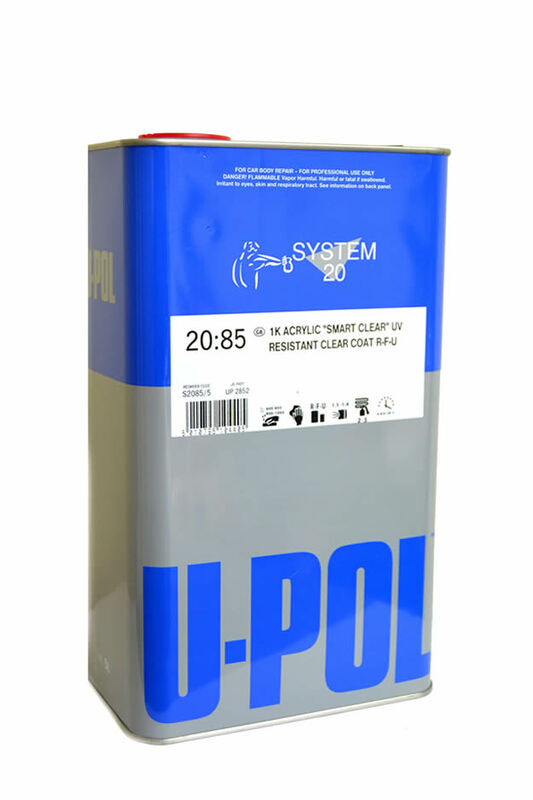 System 20:85 IK Smart Acrylic Clear Lacquer 1Litre This product comes ready to use no thinners required. 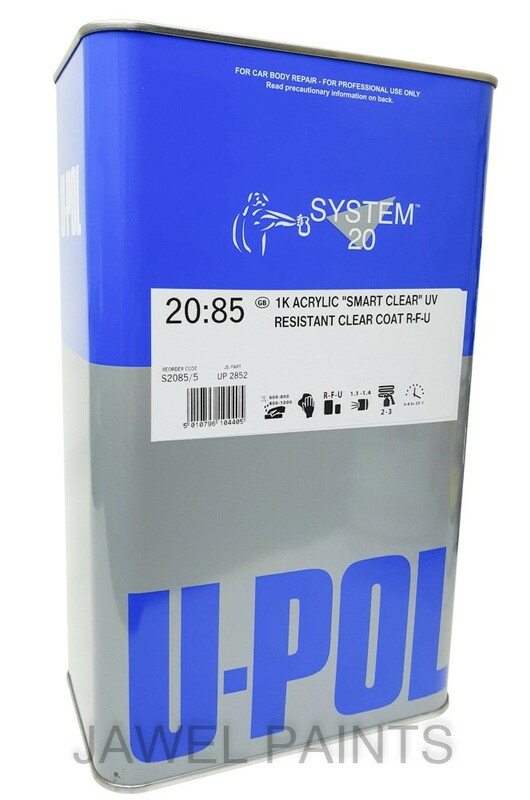 System 20:85 IK Smart Acrylic Clear Lacquer 5Litre This product comes ready to use no thinners required.